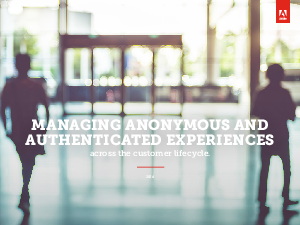 Marketers can personalize interactions using information that spans complete anonymity to full authentication, with a middle range in which identified data may be used intermittently. The distinction between anonymous and authenticated hinges on personally identifiable information (PII)—information that can be used alone, in combination, or in context to contact an individual. This information includes unique and partial identifiers such as name, address, phone number, and email address, as well as financial, employment, or other data associated with an individual.